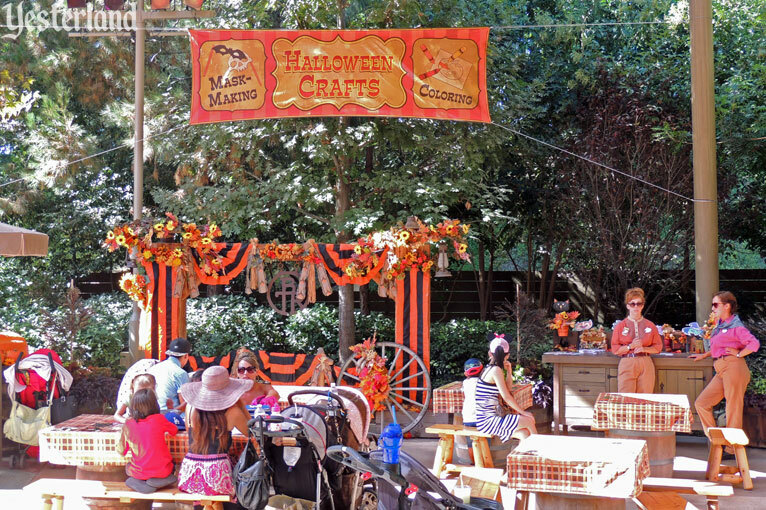 There’s a carnival in Yester-Frontierland. 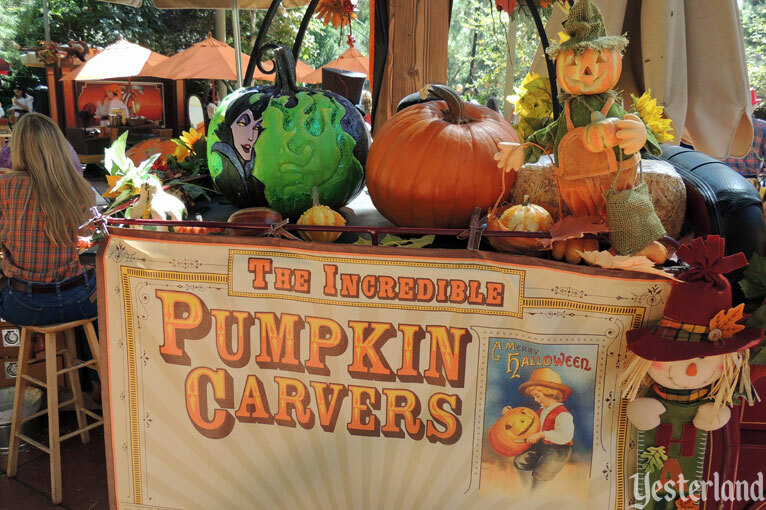 It’s at Big Thunder Ranch. 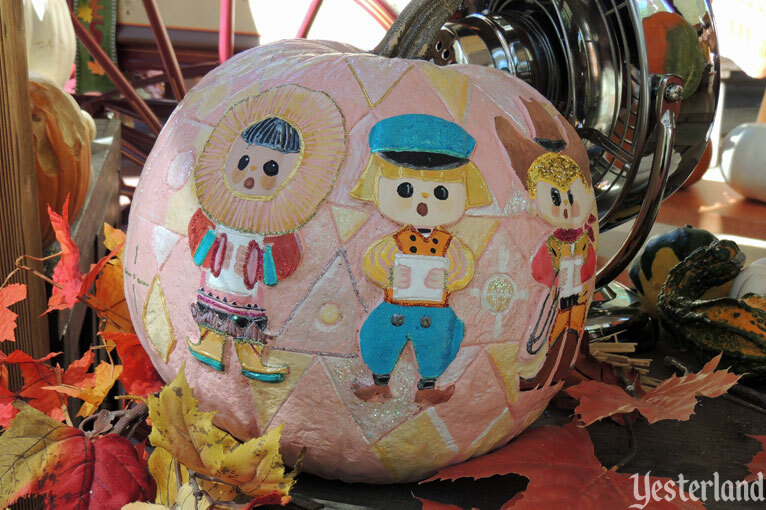 Or, more accurately, it’s at the Jamboree area deep inside it. That’s the old Festival Arena where The Hunchback of Notre Dame: Festival of Fools used to be performed. Carnivals have ticket booths. So there’s one here too. 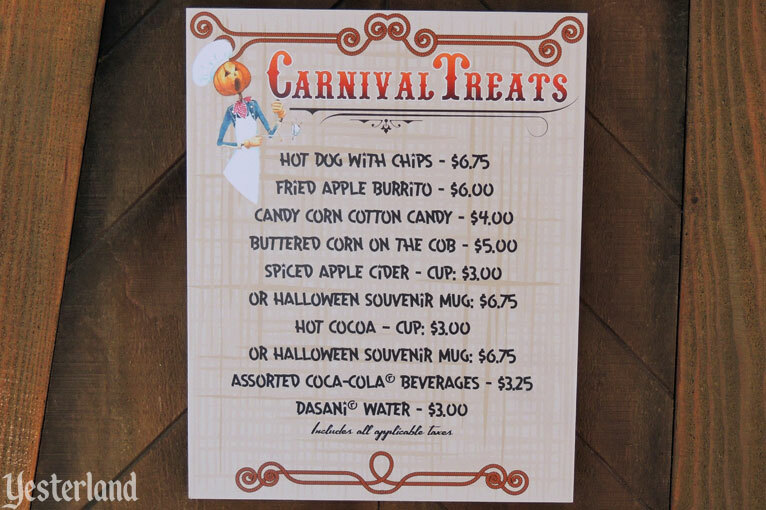 But this carnival is free! At least it’s free if you don’t think about what you paid to get into the park. 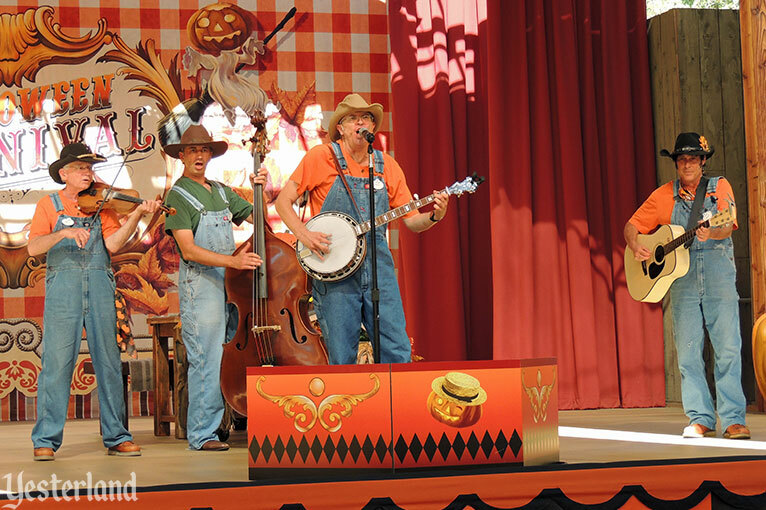 Most of the year, the Hillbillies aren’t haunted, but they’re always talented and entertaining. Perhaps they’ll treat you to their versions of “Ghost Riders in the Sky” and “The Devil Went Down to Georgia.” Ghosts and devils are appropriate this time of year. 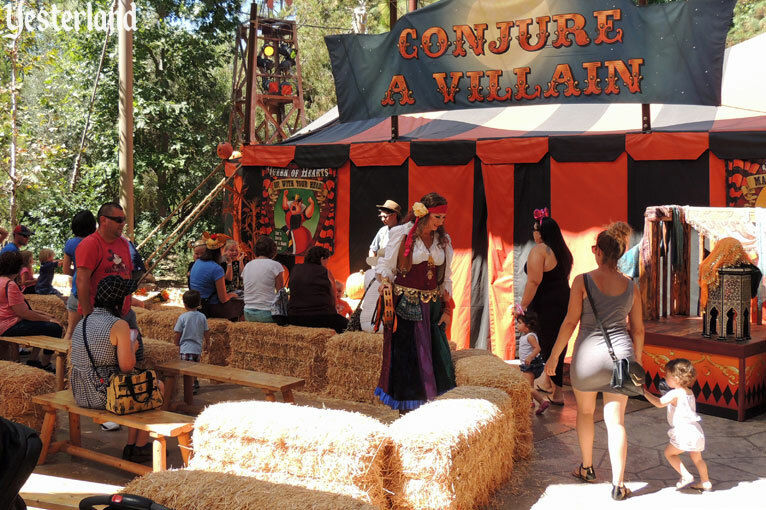 Step into the Conjure a Villain tent for a cute little show. Your host teaches you the magic spell, “Higitus, Figitus” (and clap twice). 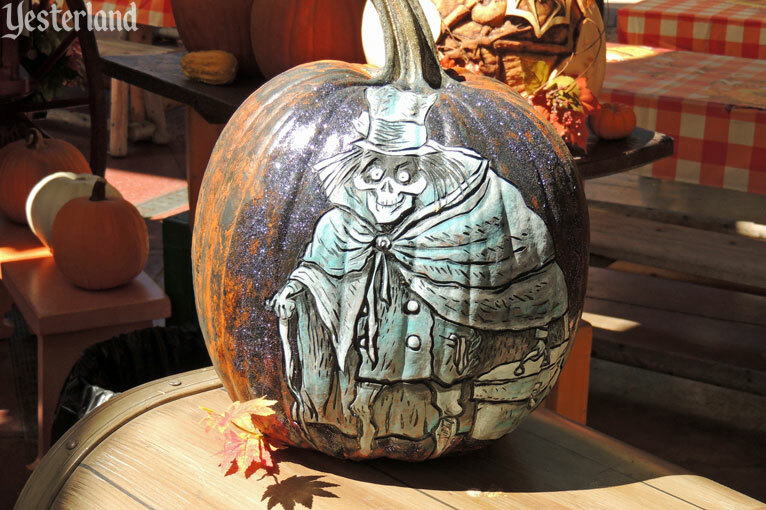 With the help of a child from audience, a steaming cauldron, and a magic wand, there’s a puff of smoke and a villain materializes in your presence. 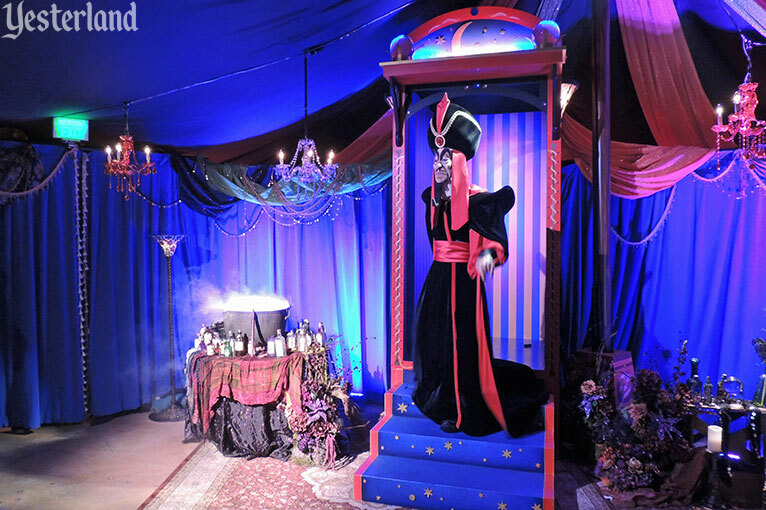 It could be Maleficent, the Evil Queen, Captain Hook, Cruella De Vil, Jafar, or any other Disney villain. 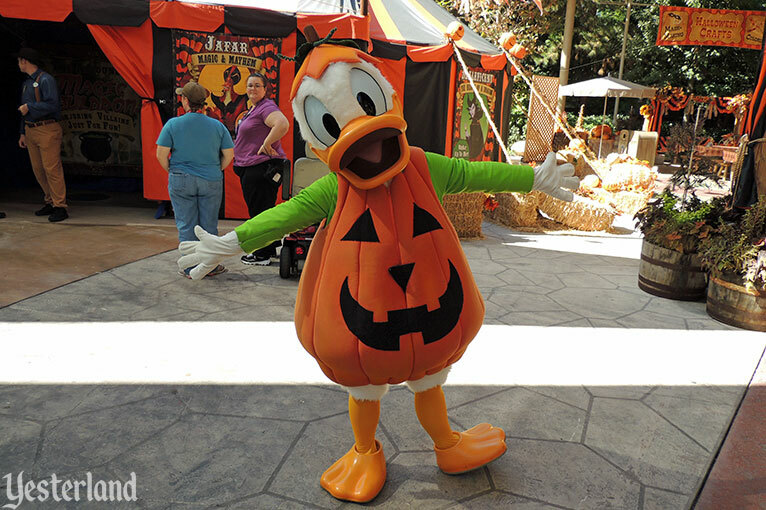 Well, maybe not any other Disney villain. 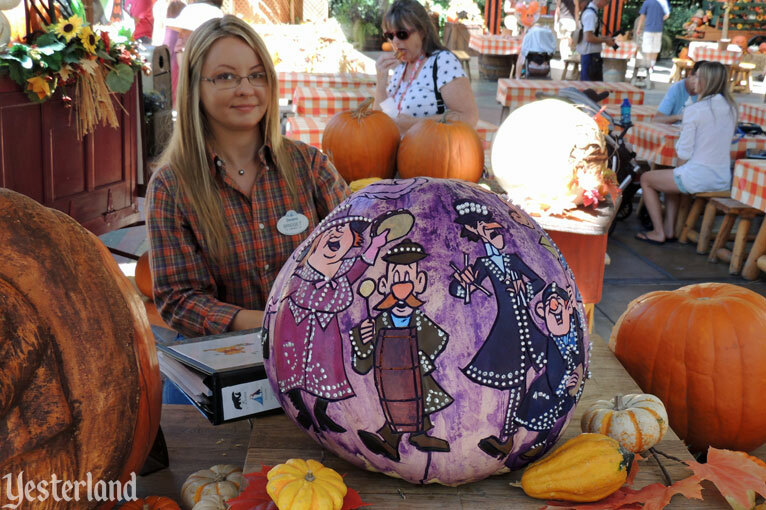 Nobody has reported seeing Bowler Hat Guy from Meet The Robinsons. 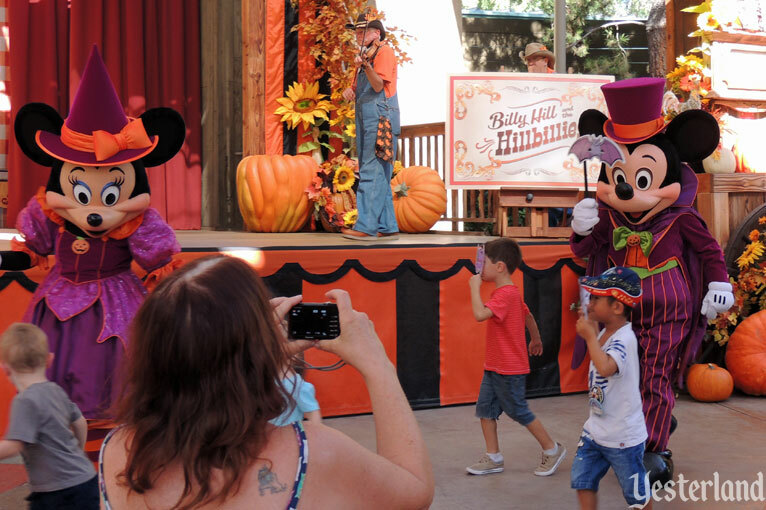 There are Disney characters wandering around, casually interacting with guests. 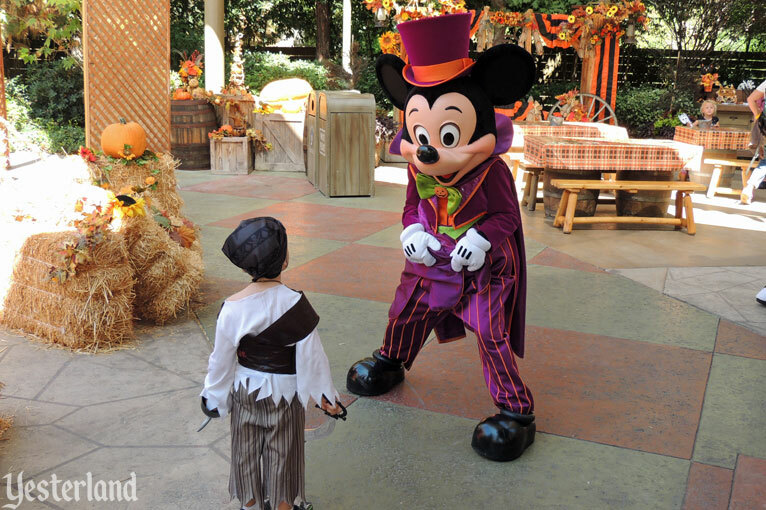 This isn’t one of those cases where you need a FASTPASS or a long wait in line just to spend a minute with a character. 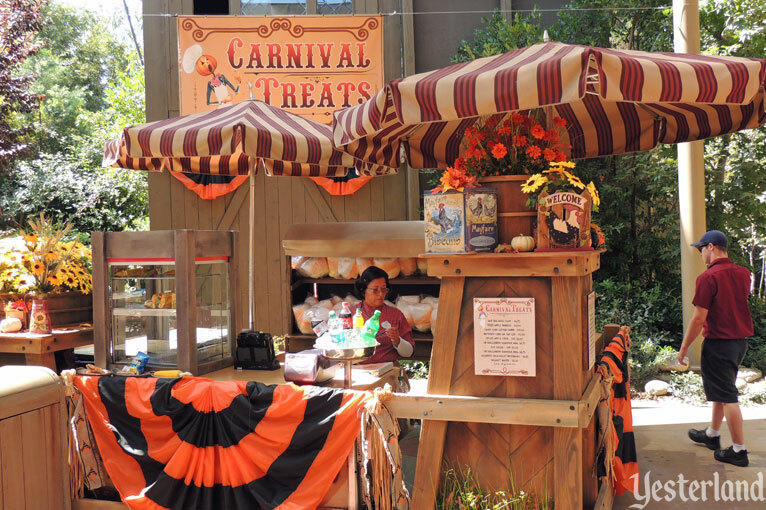 Every good carnival has food. And this one is no exception. Try the Fried Apple Burrito. There are plenty of tables in front of the stage. Food tastes better when you’re listening to the Hillbillies. 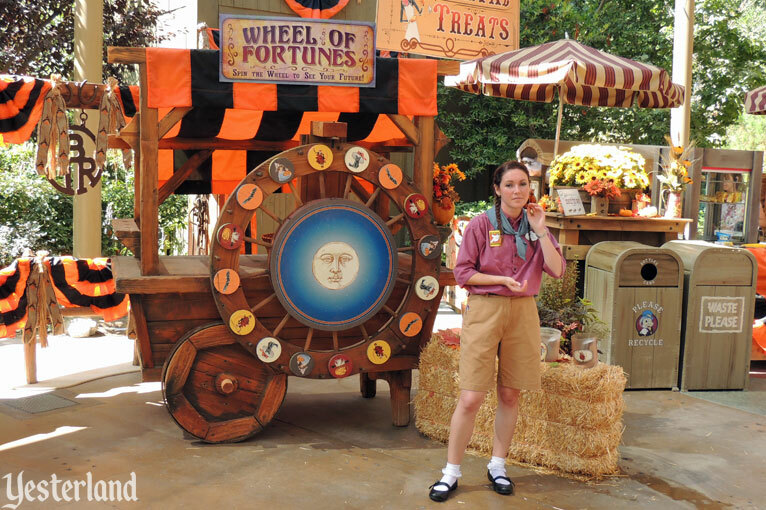 There’s a lot that’s clever and fun at the Halloween Carnival. 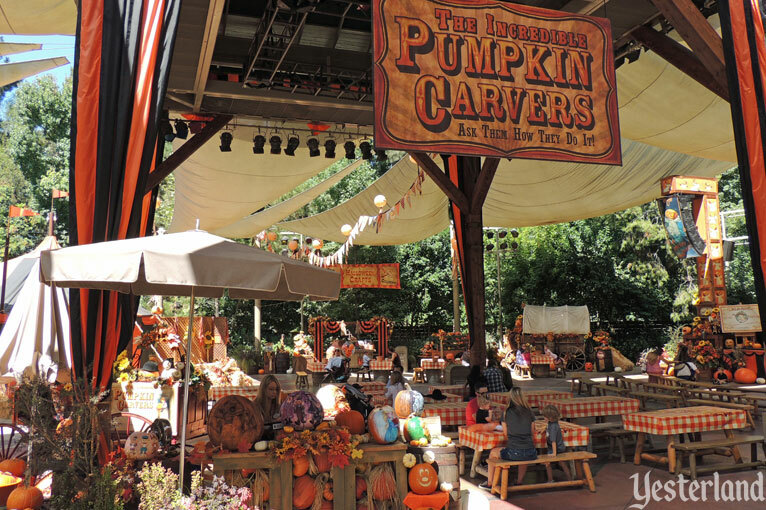 It’s a relaxing escape from the rest of the park. 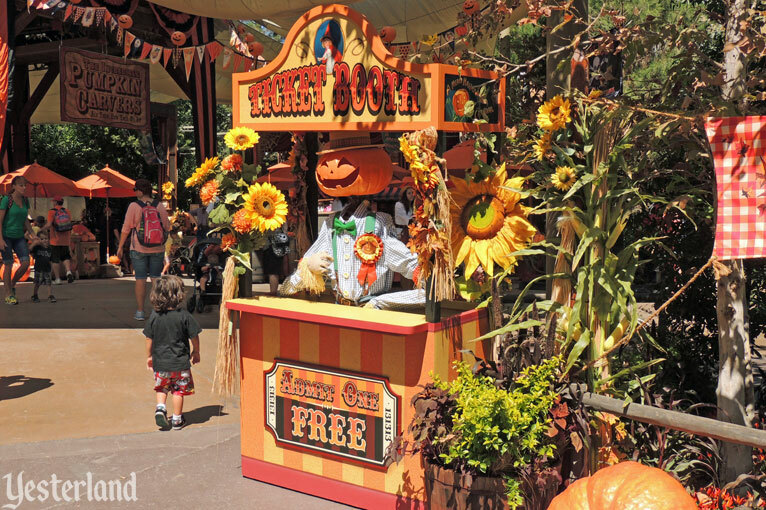 And it’s perfect for Annual Passholders seeking something a little different during the Halloween season. 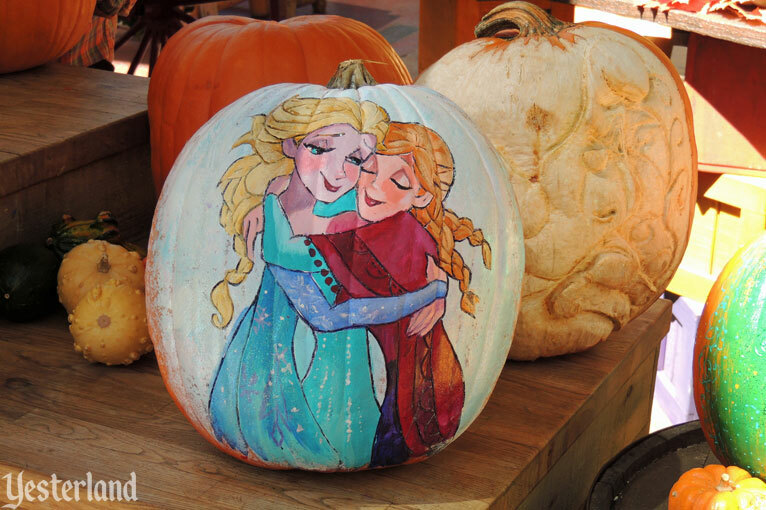 Where else can you see such wonderful pumpkins? 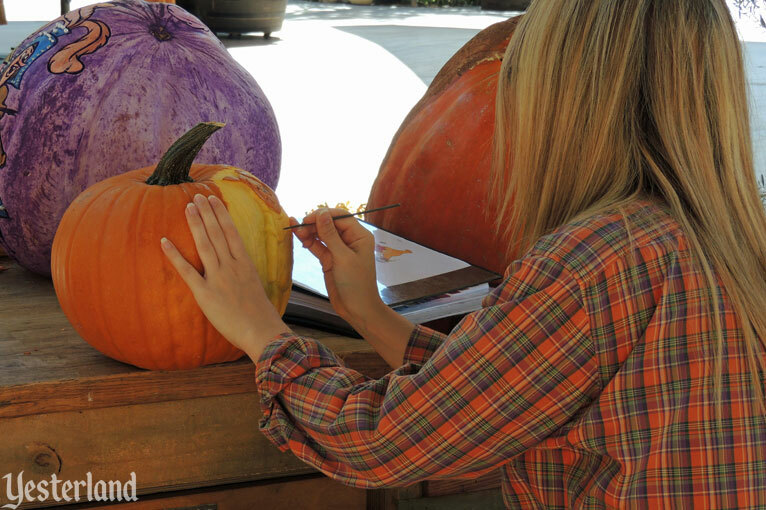 And you even watch the carvers transform orange-colored produce with a thick rind into works of art. 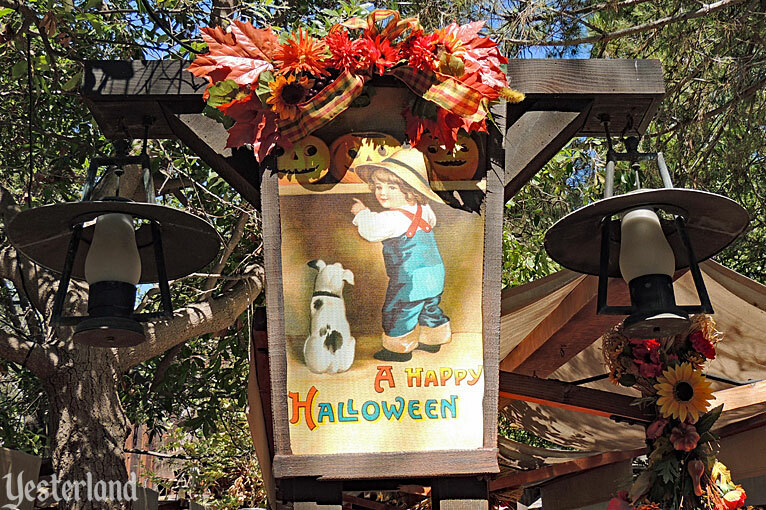 And a Happy Halloween from Yesterland! September 12 through October 31, 2014. 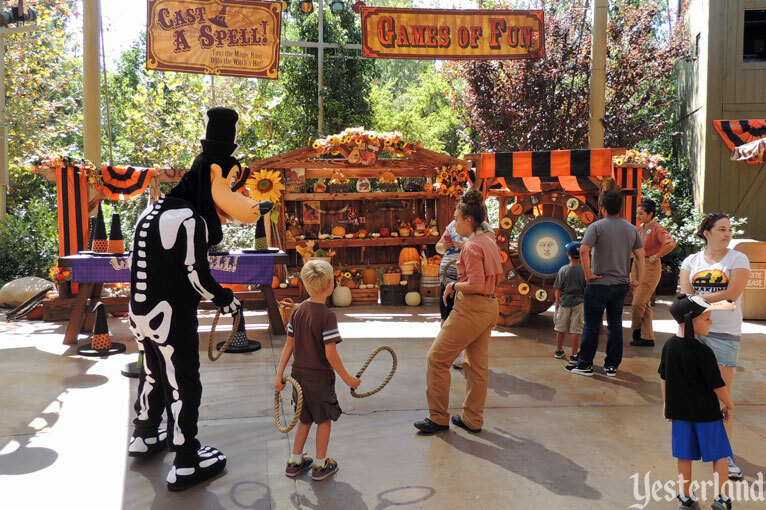 Each year, there were some changes to Halloween Carnival, but the overall experience was similar. 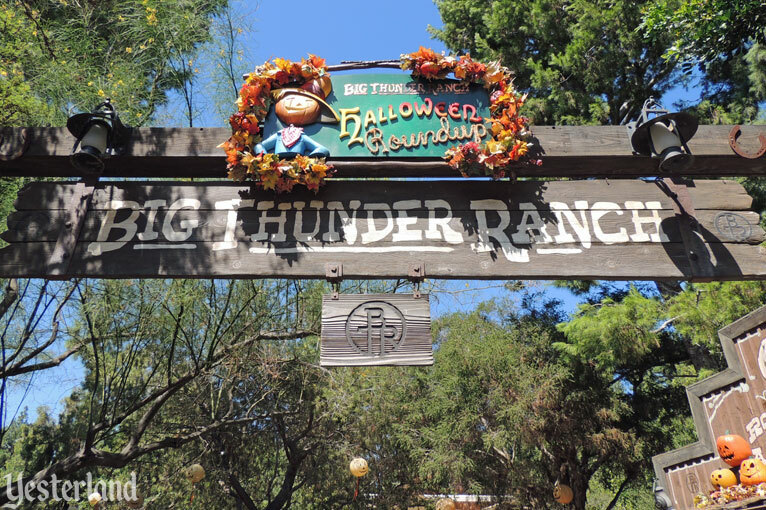 The final full year for Big Thunder Ranch was 2015. 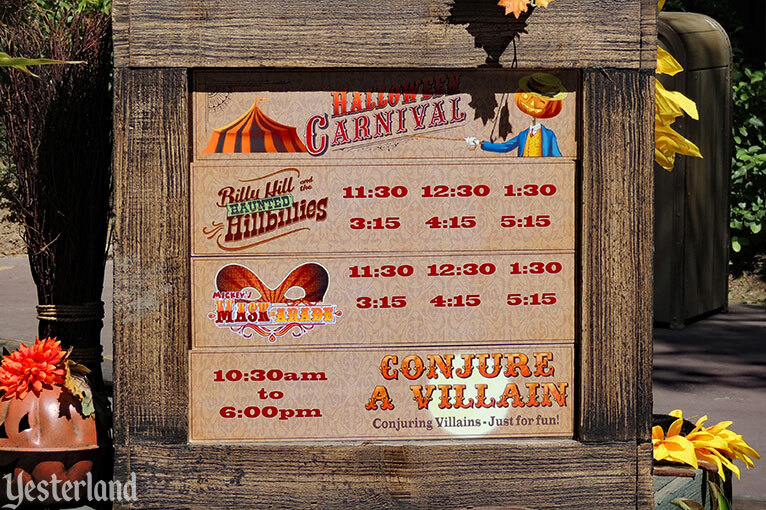 But it turned out that 2014 was the final year for Halloween Carnival. 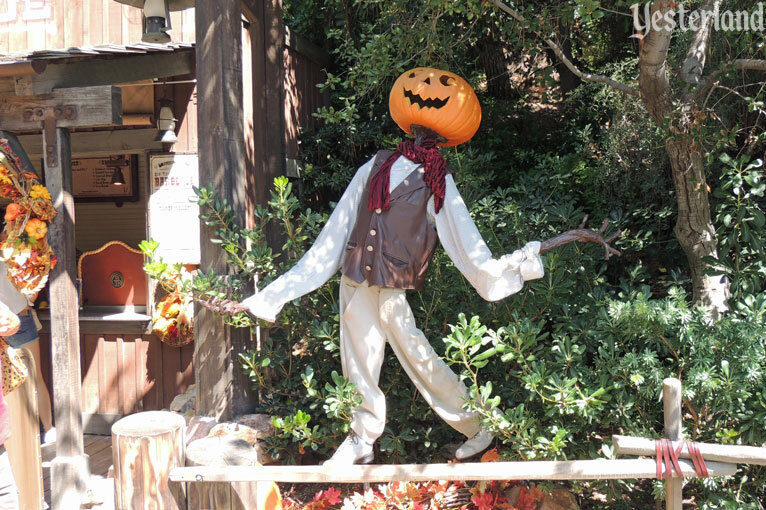 Although Disneyland could have mounted it one more time, that didn’t happen. 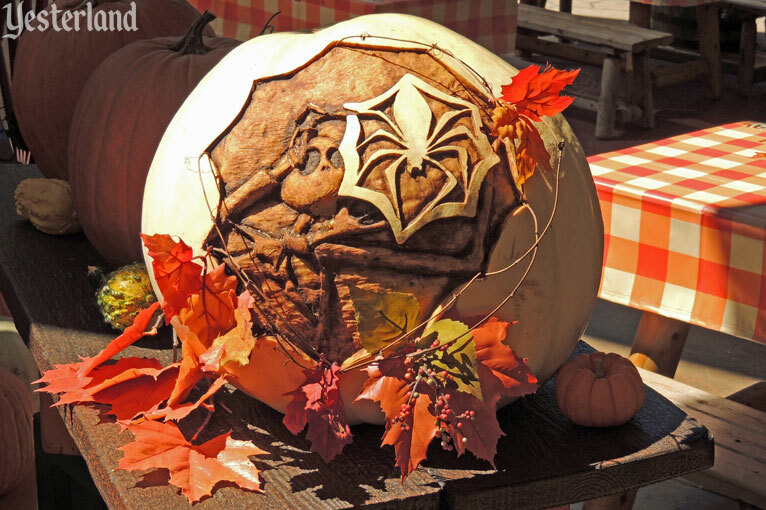 In 2015, the front of Big Thunder Ranch, including the cabin and Big Thunder Ranch Barbecue, was adorned with jack-o’-lanterns and other fall decorations. 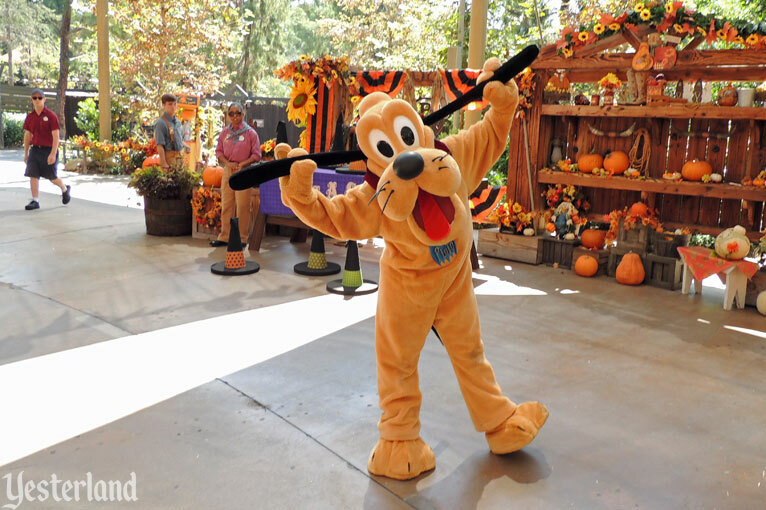 But the Jamboree area remained unused. 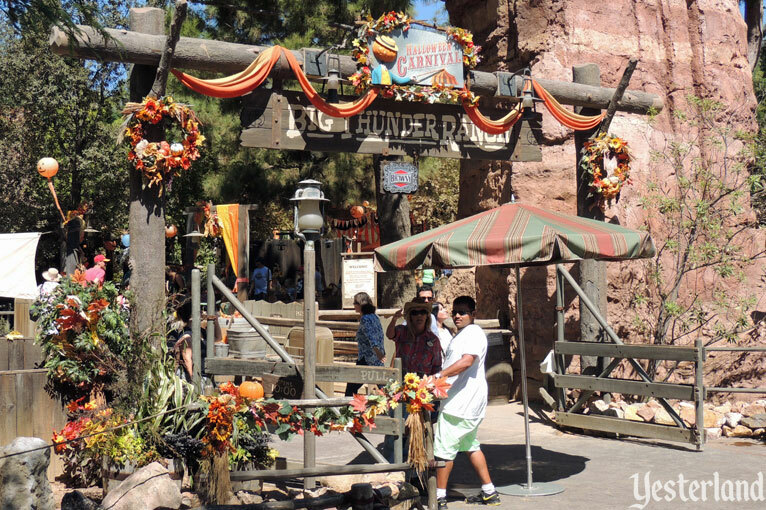 Big Thunder Ranch closed forever January 10, 2016, to make way for Star Wars: Galaxy’s Edge, Disneyland’s Star Wars-themed land.